We have a clear sense of urgency and we inspire everyone who touches our business with our focus and energy. Complacency has no place here. Licensed Practitioner (LPN): LPNs provide a large portion of direct patient care. LPNs may be assisted by nurses' aides (CNAs) and other assistants in some of their duties. LPNs are directed by doctors and nurses (RNs & nurse managers). LPNs work in a variety of settings like hospitals, outpatient facilities, long term care facilities, clinics and home care. Tenured LPNs may supervise nursing aides and assistants. The Licensed Practical Nurse will provide Clinical and administrative support in a medical office under the direction of a physician/Office Manager. The LPN is accountable for the delivery of patient care utilizing the nursing process within the standards, policies, procedures and guidelines of the organization. Assists physician with patient assessment, examinations and treatments. Documents patient care observations and activities according to professional standards and procedures. Thoroughly educates and explains procedures to patients and family members and assists them in coping with illnesses. Assists in emergency situations under the direction of the physician. Maintains confidentiality regarding patient and business functions of the center. Provides clinical telephone triage/communication as defined by protocol or physician instructions. Performs basic medical procedures to be performed under the supervision of a physician, e.g. lab draws, dressing changes, immunizations, medication injections/administration. Administers medications, according to the organization’s standards, policies, procedures, and/or guidelines. Sets up for various procedures and assists physicians with procedures. Maintains a clean, well-stocked patient care area, observing asepsis techniques and all other federal mandates, i.e., OSHA, CLIA, etc. Keeps all inventory records, logs and maintains required records for CLIA including specimen, maintenance, daily, weekly and monthly logs. Performs CLIA waived tests and EKGs within the practice. Obtains specimens(ie throat, urine, stool, wound, sputum and other body fluids), using proper technique, and following policy and procedure for labeling. Routes billing information as appropriate. Attends required in-service training (e.g. CPR, Safety, and Infection Control). Aids in identifying methods of improving patient care. Demonstrates a positive customer service attitude/behavior. Mantains current knowledge and skills in clinical practice, attends required inservices and staff meetings, and promotes professional growth. Performs other duties and responsibility as assigned. Maintains clean, safe, well-stocked nursing areas. Functions independently and assumes responsibility for actions in clinical procedures. Responsible for compliance with Organizational Integrity through raising questions and promptly reporting actual or potential wrongdoing. Participates in and coordinates with organizational process to collect and evaluate information about hazards and safety practices that are used to identify safety management issues. Adheres to established policies and procedures, which may include wearing of personal protective equipment. Participates in and fosters a performance improvement approach that includes both intradepartmental and interdepartmental activities. Demonstrates skills and abilities in clinical and administrative areas including phlebotomy, office lab testing, patient care skills and EKG. Citizen of the United States or proof of the right to work in the U.S. Registered Nurse (RN): The Divine Touch Health Services registered nurse (RN) is responsible for the delivery of quality patient care through the nursing process of assessment, diagnosing, planning, implementation, and evaluation. The RN is responsible for directing and coordinating all nursing care for patients based on established clinical nursing practice standards. The RN collaborates with other professional disciplines to ensure effective and efficient patient care delivery and the achievement of desired patient outcomes. The RN utilizes knowledge of patient’s age and cultural diversity into the provision of patient care. The registered nurse contributes to the provision of quality nursing care through performance improvement techniques that demonstrate positive outcomes in patient care. The RN provides care as a temporary employee, and understands that travel away from his or her home state may be required for employment, or continued employment, with Divine Touch Health Services. Ability to utilize the nursing process in the provision of nursing care including but not limited to administering treatments and medications in compliance with the physician’s orders and applicable hospital policy, interpreting diagnostic tests, formulating a plan of care, collaborating with other health care providers and providing education to patients and/or significant others (while in compliance with HIPAA). The RN must be able to demonstrate the knowledge and skills necessary to provide care appropriate to patients of all age groups–must demonstrate knowledge of the principles of growth and development through the life span, possess the ability to assess data reflective of the patient’s status, and interpret the appropriate information needed to identify each patient’s needs in relation to age. Must document/chart observations and other data related to the clinical condition of the patient. Must properly and accurately chart observations and activities related to patient care. 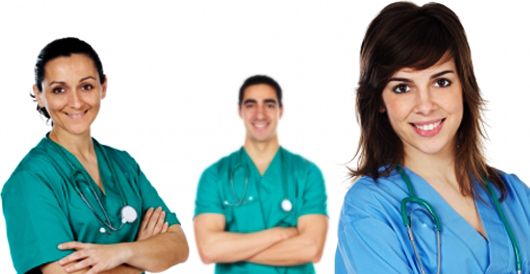 Communicates report to appropriate healthcare workers in accordance with the hospital policy. Initiates or assists in Hospital codes and CPR as required. Participates in hospital educational programs as requested. Responsible for strict administration, control and dispensation of narcotics in accordance with the hospital policy. The individual will be may be required to pull up or reposition patients in bed, lift supplies, place equipment on supports, push beds throughout the hospital, and perform external cardiac compressions. The individual must be able to bend over to perform certain duties, e.g., check chest tube drainage, check urinary output, etc. The individual must also be able to maneuver throughout halls, stairways, and patient rooms in response to hospital emergencies. Interpretation of environmental input requires visual and auditory skills. In the event there is a need to evacuate the building, heavy lifting will be required to carry patients to safety. Certified Nursing Assistant (CNA): Certified nursing assistants (CNA) were previously referred to as nursing aides (females) or orderlies (males). CNAs provide basic patient care under the direct supervision of the nurses responsible for providing direct patient care. CNAs may spend more time with patients than anyone else on the health care team. For this reason, they can easily form lasting connections with patients, especially when they work in extended- care facilities where the same patients are cared for each day. CNAs are employed by extended-care facilities, hospitals, home health, and by individuals who want extra help when they are in the health care facility or in their own home. When working in a private home there are often additional duties, such as cooking, shopping, or light cleaning. Take vital signs (temperature, blood pressure, pulse, and respiratory rate). Provide direct patient care such as assisting with bathing, eating, dressing, and walking patients. Turn and reposition bedridden patients to prevent breakdown of their skin. Record amount of oral intake and measure urinary output. Supply and empty bed pans. Interact with patients and family. Transport patients and equipment as needed. Keep a record of care given. Monitor patients and report any variances to normal to the nurse for further assessment. Follow infectious disease precautions to prevent the spread of organisms. CNAs will spend much of their time with patients who are ill or injured, sometimes doing unpleasant work such as changing bedpans. They must be compassionate and truly interested in helping others. Other important qualities are patience, honesty, good health, and the willingness and ability to follow directions.